This morning we headed out about 10:00am with our friend Jan to the funicular to transport us from our hotel, along the river’s edge, to the old town at the top of the cliffs. The funicular was first built in 1891 but two years later an accident caused by excess velocity caused the line to be decommissioned. 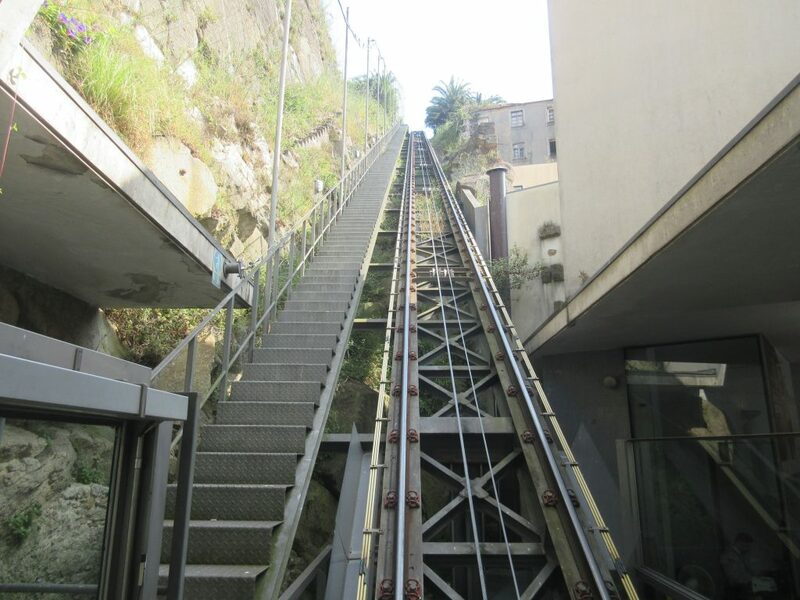 It was not until 2004 when the current funicular was installed along the same route as the original. The single-track funicular is 922 feet in length and carried us up 200 feet in a few short minutes. It was much easier than taking the uneven cobblestone steps up the steep hill. Once at the top of the hill we headed for the Yellow hop-on, hop-off bus to make our way to the Serralves Museum. 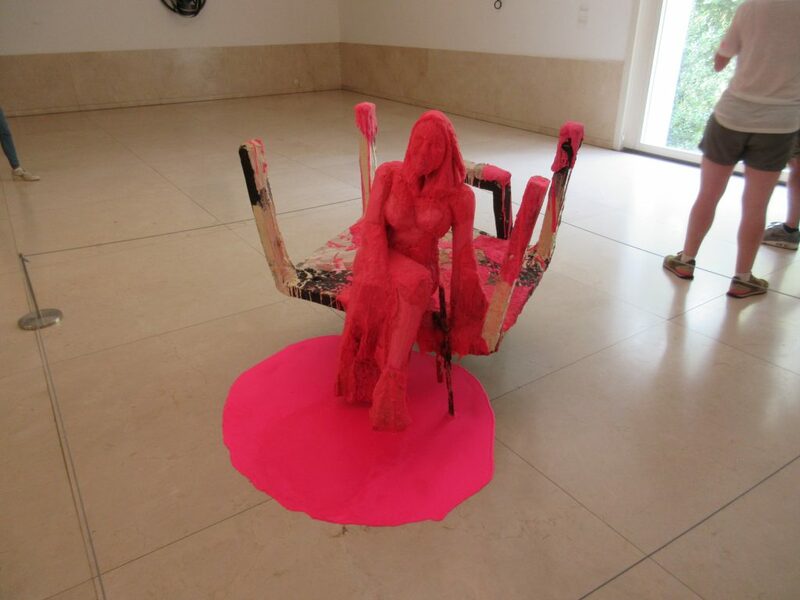 The Serralves Museum is a contemporary art museum, villa and garden. The art deco style villa was built on this large parcel of land as a private residence between 1925 and 1944. The residence had two owners until the death of its second owner in 1987 and the property was acquired by the Portuguese State as a site for a future museum of modern art. The villa was opened for temporary exhibitions until 1999 when a new museum was completed and opened on the property. We visited the museum which had a variety of unusual exhibits ranging from photography, painting, sculpture, film and mixed media. One of the current exhibits was about the incorrigible, undesirable, unruly and what conduct does a museum repress? This exhibit about the disrespect for the rules of good taste or good behavior includes works of art from the 1960’s until today. It had very strange pieces of art including sexual related items, act of violence, political views and more. Most of our group thought that it was rather odd. After our visit inside the museum we toured the villa residence located in the sculpture garden. The art deco villa is a two-story residence with very large rooms as the home would have looked when it was built although the residence is completely bare allowing for special exhibitions. 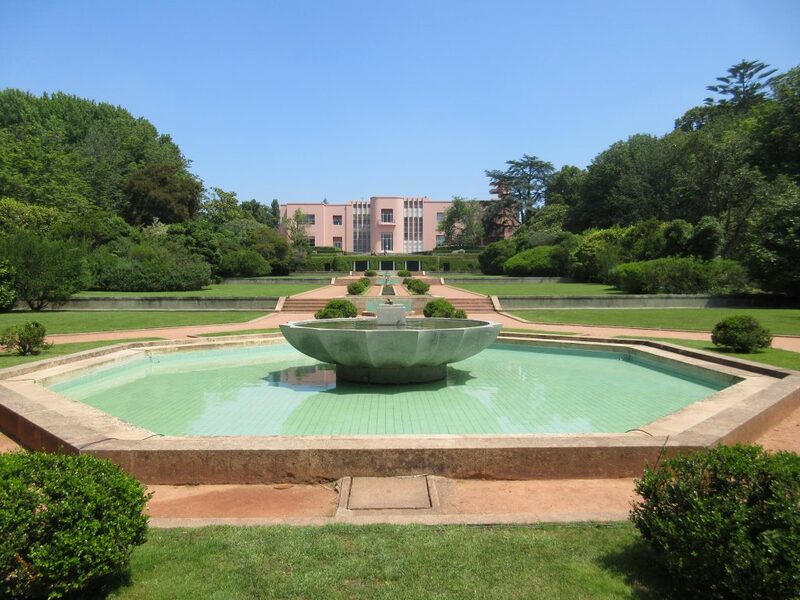 The Serralves gardens of the property are quite vast with about 45 acres of land and include a rose garden, a lake, a camellia garden, meadows, herb garden, vegetable garden and more. 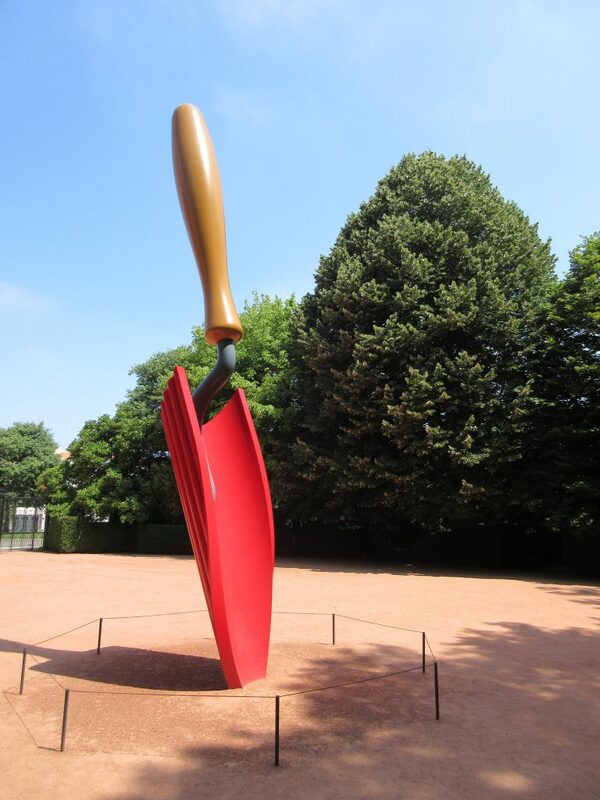 The gardens include a variety of contemporary sculptures. After the museum we re-boarded the bus and took it further along the route to a wonderful restaurant (Boca) on the waterfront near the Foz district of town. Here the entire group met up for a Sunday afternoon meal that lasted nearly three hours. We had drinks, starters, entrees and desserts ranging from local favorites like octopus and fish to pasta and salads. It was an excellent included meal and was another wonderful day. Mark walked back to our hotel with Karen and Kent took the Yellow hop on/off bus as he was not up to the almost 4-mile walk.